Arizona Republic, December 17, 2018, Alex Devoid LETTERS TO THE EDITOR NEEDED! White Mountain Independent, November 20, 2018 - Letters to the Editor Needed! White Mountain Independent - October 19, 2018 - Your letters needed! Santa Fe New Mexican - October 18, 2018 - Your letters needed! Arizona Republic - September 11, 2018 - Letters needed! Santa Fe New Mexican - June 23, 2018 - Letters needed! Lobo Advocates Set the Record Straight Regarding Misleading Comments by AZ Game and Fish Department. Santa Fe New Mexican - July 14, 2018 - Letters needed! Albuquerque Journal - June 21, 2018 - Your letters are needed! White Mountain Independent - June 22, 2018 - Your letters are needed! 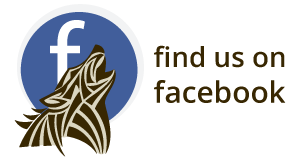 Support Mexican wolf recovery and enter to win a tee shirt with your design on it! Court rules in favor of Mexican wolves! In the News: Can Mexican gray wolves survive in Mexico? Arizona Central - February 22, 2018 - Your letters are needed! Seattle Times - February 21, 2018 - Your letters are needed! Santa Fe New Mexican - February 21, 2018 - Your letters are needed! 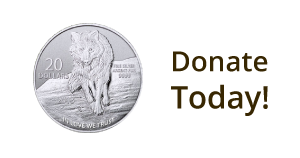 In the News: Standoff Over Mexican Gray Wolf Continues in Southwestern U.S.
Grand Canyon News - January 16, 2018 - Your letters are needed! AZ Central - January 8, 2018 - Your letters are needed! Arizona Daily Star & Others - January 8, 2018 - Your letters are needed!